What if you could build a workplace exactly like Google’s? Wouldn’t it be great? You shouldn’t aspire to be exactly like any other company, even mega-successes like Google. 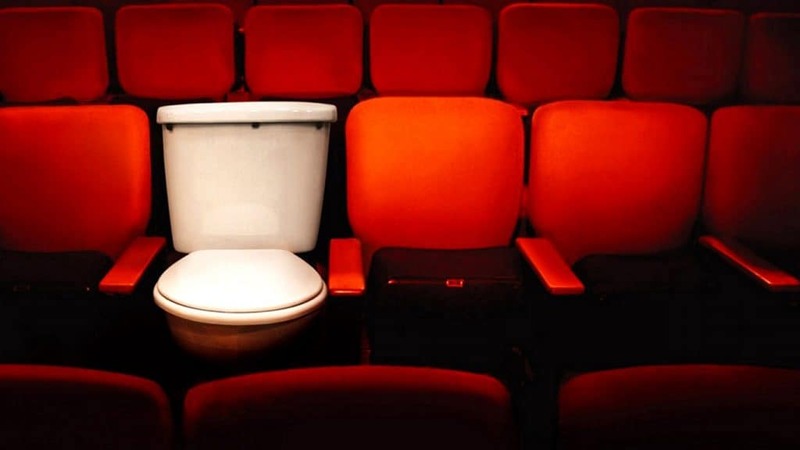 Yet, it’s well worth reflecting on how you can take parts of what they do, and adapt them to fit your company. I recently read Laszlo Bock’s new book, “Work Rules: Insights from Inside Google That Will Transform How You Live and Lead”. As you might expect, there were a number of things that felt unique to Google (i.e.- few of us have multi-million dollar stock grants we can offer employee #10,000+), or seem like ideas that could backfire (like Chapter 10’s subject, “Pay Unfairly” leading to this scandal). However, the exceptions shouldn’t prevent you from learning and applying some of the amazing lessons and research shared in this book. Any leader can benefit from some of Laslzlo Bock’s Rules. Consider these lessons below as battle-tested, scientific approaches you can apply at your workplace at your discretion. 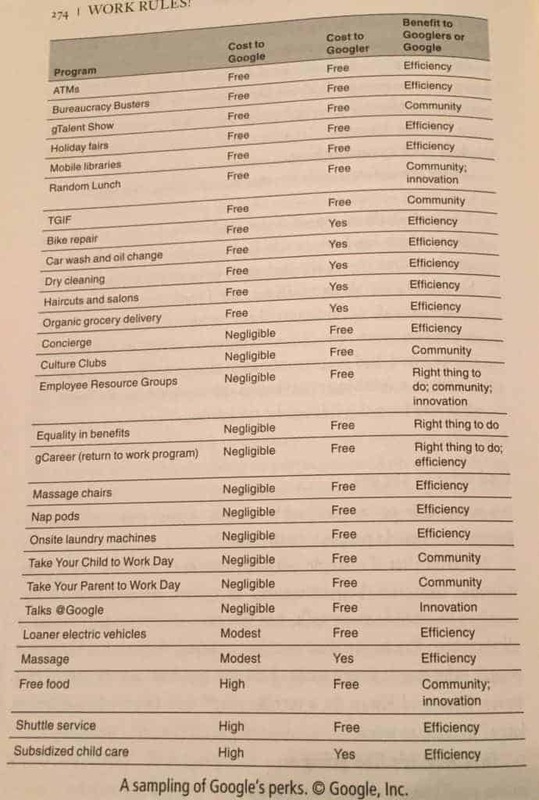 Google is a company with an extremely engineering-driven culture. The benefit of this is that they’ve taken rigorous scientific approaches to everything in their workplace. And at their scale (50,000+ employees), they have statistically significant findings. The majority of their best, most universally applicable lessons come from these studies, and these 5 lessons just scratch the surface of this 365 page book. Bock and Google were careful to try to avoid forcing any changes on Google employees, so most changes were described as “temporary experiments.” This made it safer to roll back or change a new initiative relatively quickly depending on the reaction of Googlers. It also helped reduce what Bock described as “entitlement” issues. With regular experiments, it was easier to ensure people didn’t take too many of the Google perks for granted and expect them as the status quo. When they then stopped giving out the free credits, Bock reported they had no complaints. If they had made it a permanent perk and then eliminated it, you can imagine a non-zero amount of their 50,000+ employee workforce would have complained. Another underrated aspect of making a new perk, policy, or investment in your team an experiment is that it changes the mindset of those rolling it out. It’s easy to think once you roll out a policy, your work is done. However, when you make it an experiment, now you need to measure the results and actively make a decision to keep, kill, or alter the program. If you want to change the behavior of your employees, it can be tempting to try to force a choice upon your people. Unfortunately, when given no choice, people often rebel. I don’t think any company has studied lunch time behaviors nearly as much as Google. From those experiments, they’ve learned the hard way how some changes are better received than others. The Good: Make healthy food prominent, downplay the candy. 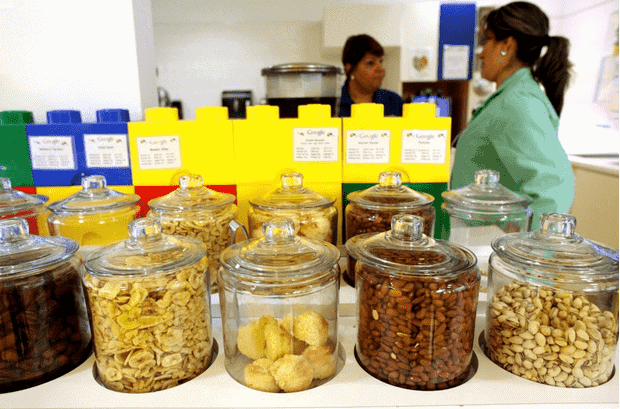 In an effort to make their employees eat healthier, especially for between meal snacks, Google redesigned their snack kitchens. Healthy snacks like dried fruits and nuts were prominently displayed in clear containers, while candy was placed in containers with small labels in harder to reach areas. Charged by the success of this experiment, they rolled out these changes across all the company’s offices. Unfortunately, not all experiments were as big a success as the snack kitchen changes. Attempting to jump on a trend of reducing meat consumption due to the resources required to raise animals, Google stared a “Meatless Mondays” in some of their cafeterias. While some vegetarians rejoiced, other Googlers were outraged. In a number of other experiments this insight came up repeatedly. You can nudge people with information and the structure of your work area or cafeteria, but when you remove choice, people get very upset. Therefore, if you’re looking to change behavior at your company, consider how you can highlight the desired choice, while still allowing people to opt for an alternative. Laszlo Bock’s book has an entire chapter called “Nudge…a lot” on this subject if you want to geek out and get more ideas for applying this in the workplace. 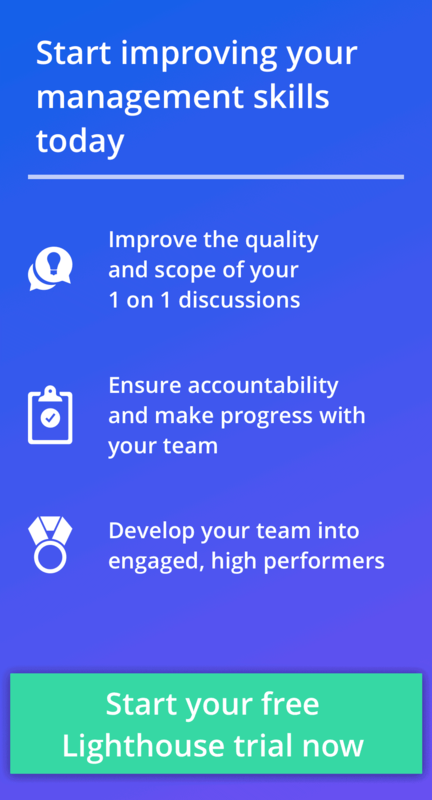 What makes a good manager? Someone that cares about their team? Develops and helps them grow? That people enjoy working for? Or is it simply the bottom line results they and their teams achieve? 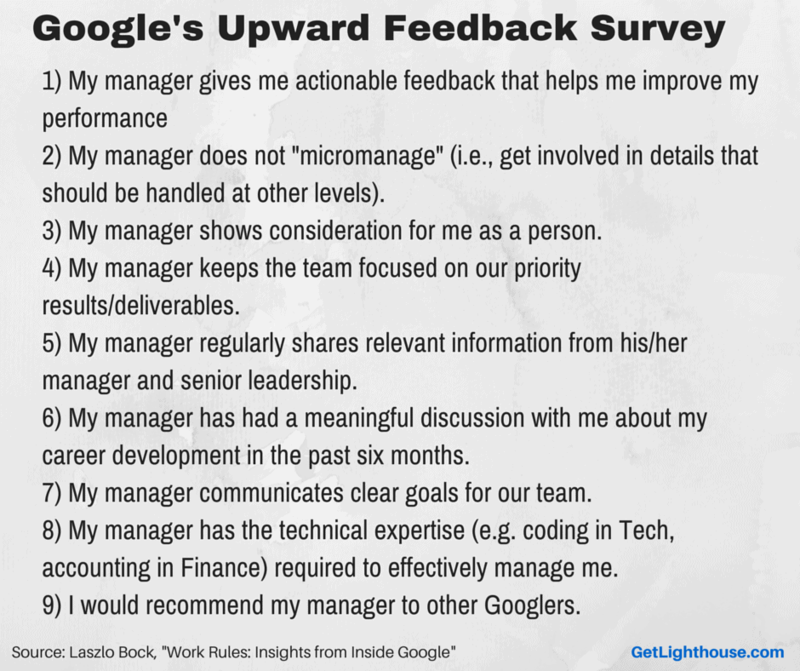 Through these surveys, managers are able to sit down with their teams and address issues. Managers also have tangible data to talk with their HR Business Partners about how they can improve. We’ve done a deep dive into why these 8 management principles matter in another post you can read on the Lighthouse blog here. Google has found that many businesses would like to sell to Google’s employees. So they use their bargaining power as a source of 50,000 employees potential customers to get discounts. They also often ask employees to pay for using the perk as you can see in the image for things like dry cleaning, bike repairs, and hair salons. Now, you probably don’t have the leverage of 50,000 employees, but for a local, small business, a potential 50 or 100 customers coming to them is likely to get a solid discount you can pass along to your people. Don’t believe Bock? Think about how companies like AnyPerk exist or how your average discount on group health insurance works. Subordinates should interview their future managers to ensure they’ll be excited to work for them. They have a “Cross functional interviewer” to ensure a person isn’t hired out of desperation or because the role has been open for too long. The optimal number of interviewers is 4 to avoid too few or too many interviewers spending time on a candidate. This last insight is particularly interesting. 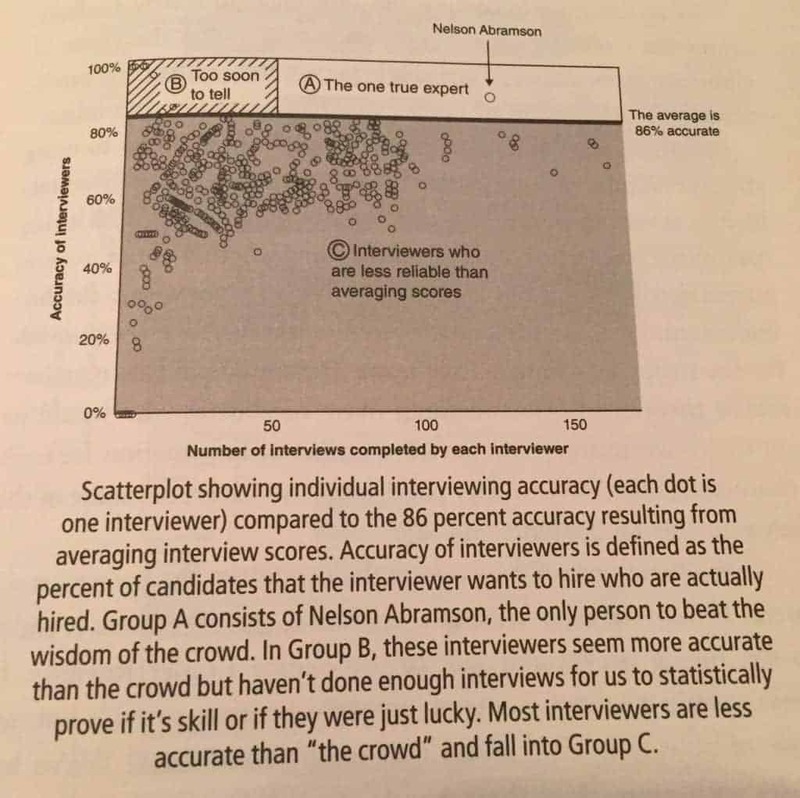 Google takes the scores of every interviewer equally and then averages the scores to decide whether to hire someone. After extensive research, they found that the average score of this ideal group of 4 interviewers yielded an 86% hiring accuracy rate. This was better than all but 1 uber-impressive employee ever at Google who was a major outlier in their ability to evaluate candidates. Most companies have not hired nearly as many people as Google so their insights here, thanks to their commitment to data, analysis, and iteration is valuable to us all. They devote an entire chapter to many more fascinating hiring insights worth learning about and considering adding to your processes. 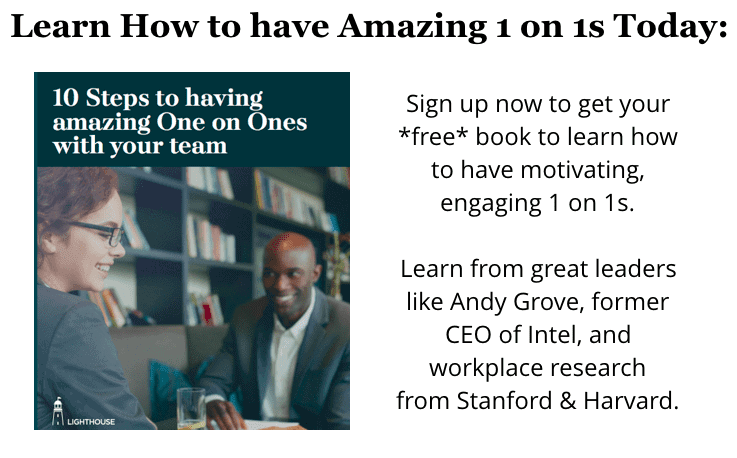 While at times it feels like Laszlo Bock is expecting you to emulate everything at Google, I don’t think you should expect anything less from their head of People; he should be a major cheerleader of what they’ve accomplished. The real lesson is that every company is different in what makes them great, but all great leaders are inspired by others. Work Rules provides helpful insights into how Google has succeeded and you’re bound to find a few ideas you can bring to your company.